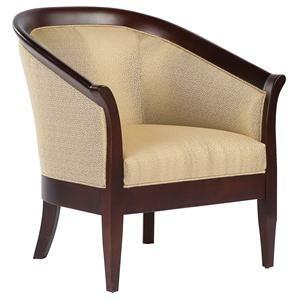 Gentle to the eye and to the touch, this stationary exposed-wood chair is upholstered with a tight button-tufted seat and back cushion for a look and feel that is the meaning of comfort. 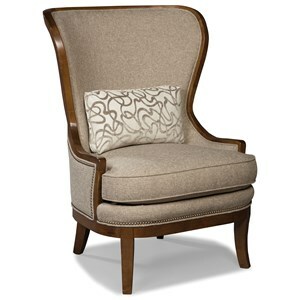 Low and deep, you will never want to get up after sinking into this chair's sleep-worthy cushion. 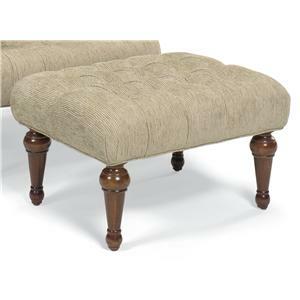 With the addition of decoratively turned wood on its arms and legs, this item is infused with an elegant, traditional style all around. 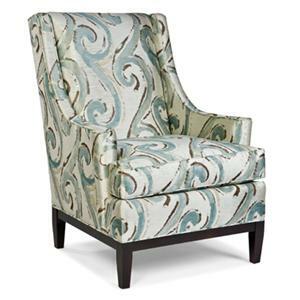 Placed in the corner of the room or used to accent a full living room ensemble, this chair will quickly become your favorite seat in the house. 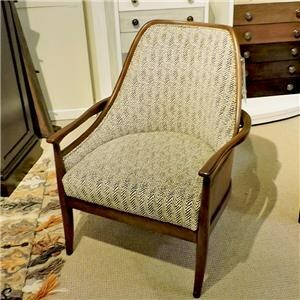 The Chairs Exposed Wood Chair with Button-Tufting by Fairfield at Belfort Furniture in the Washington DC, Northern Virginia, Maryland and Fairfax VA area. Product availability may vary. Contact us for the most current availability on this product.